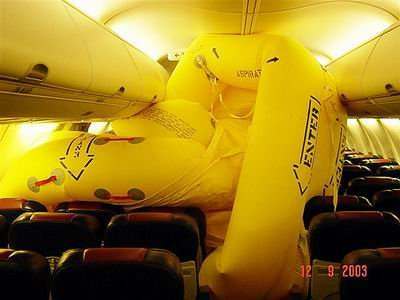 Please remember that some items may have shifted during landing. Disclaimer: I didn't see this myself, but it appears that something set off the emergency ramp when it shouldn't have. I hope nobody was hurt!